In a big bang launch event in Delhi, Yamaha India added a new 250cc motorcycle FZ25 to its successful and popular FZ Series. 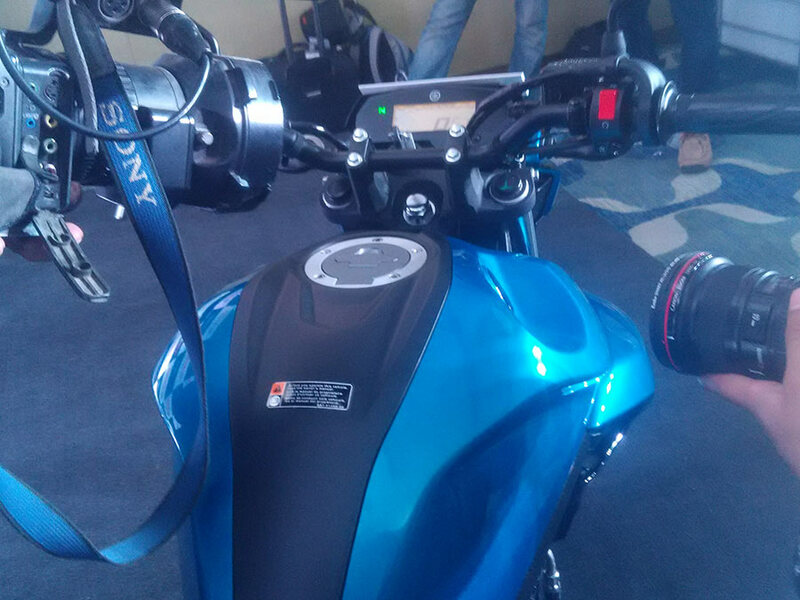 The all new Yamaha FZ25 is powered by 4 stroke, 249cc, SOHC, 2-valve, single-cylinder, high-torque fuel-injected engine. 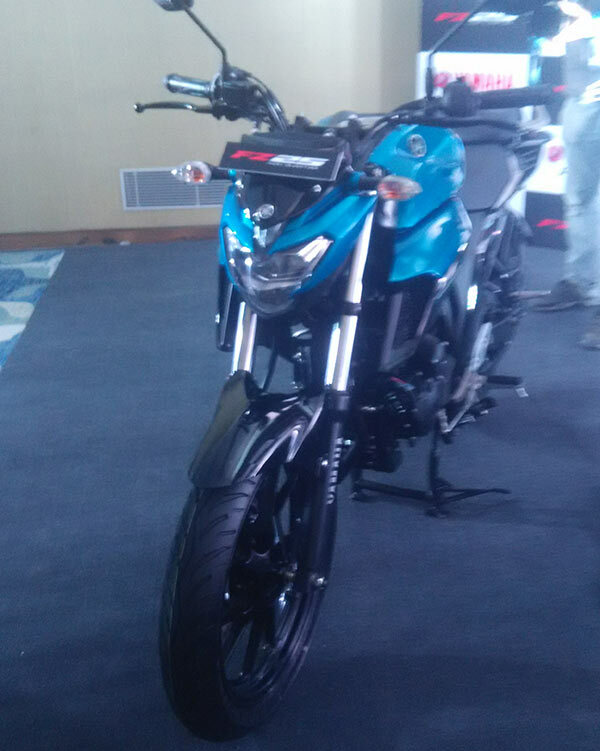 The all new Yamaha FZ25 is lighter weighing just 148 Kgs. Yamaha calls the new FZ25 as “Powerful, mid-class, street fighter” for the Next FZ World. The design of 250cc motorcycle emphasizes both the senses of mass forward layout as well as downforce, evoking the powerful muscles of an athlete. This newly launched street model delivers riding enjoyment as well as excellent fuel efficiency and environmental performance and is targeted for biking enthusiasts in the age group of 20 to early 30s. 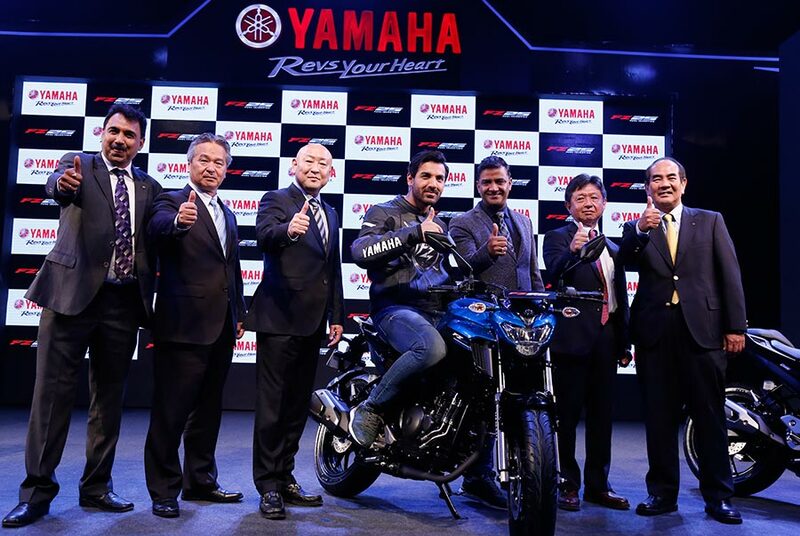 Indian actor and Yamaha India’s brand ambassador John Abraham revealed the new model to public applause and delight. The all new Yamaha FZ25 is made available across all authorised Yamaha dealerships in the country. The new model FZ125 will be available in the market starting February 2017. Based on a reliable 249 cc single-cylinder engine proven on sport bikes for the Japanese market, the model’s engine has been fine-tuned and optimized for the Indian traffic environment, primarily in the intake/exhaust systems and the ignition system. Building on the reputation, the new model has been developed with Yamaha’s New Generation Engine Development Ideal – ‘Blue Core’ featuring overall improved performance including fuel efficiency, acceleration and environmental friendliness. The model is compliant to BS IV emission standards. With its maximum power output of 20.9 PS at 8,000 rpm and maximum torque of 20 Nm at 6,000 rpm, the new 249 cc model also offers an impressive array of new features including the LED headlight (First 250 cc model in India*) and an LCD instrument cluster with a high-quality look evoking a sense of innovation, a mudguard that moves with the swing arm, wheels with a spoke design like that of MT Series bikes and racing style footpads (rear seats) making it an irresistible option as the top-end model of the FZ Series. At the same time, it offers the nimbleness and easy-to-use character for daily use as well as riding excitement in a variety of usage scenes. The FZ series has been a great performer ever since its launch in 2008. FZ Series performed very well in India and crossed 1.3 Million sales since its launch and has developed as a strong brand in the deluxe segment. Now the deluxe segment customers can step up to a premium model and Yamaha is very happy to offer an option which is armed with more power, impressive new features, sporty look and aggressive styling. 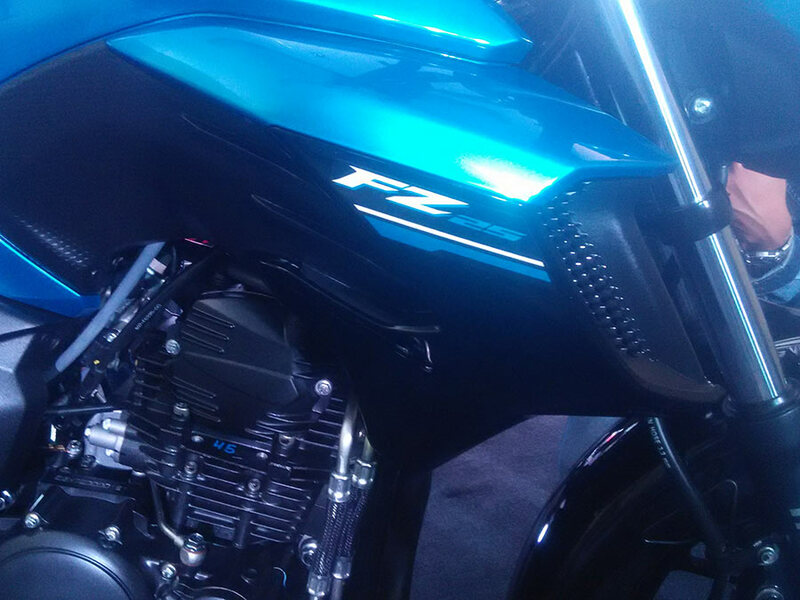 Introduction of new FZ25 Model in FZ family will surely appeal to today’s confident generation. With this launch, Yamaha will line up a compact FZ series only to enhance its solid brand image in performance motorcycles. 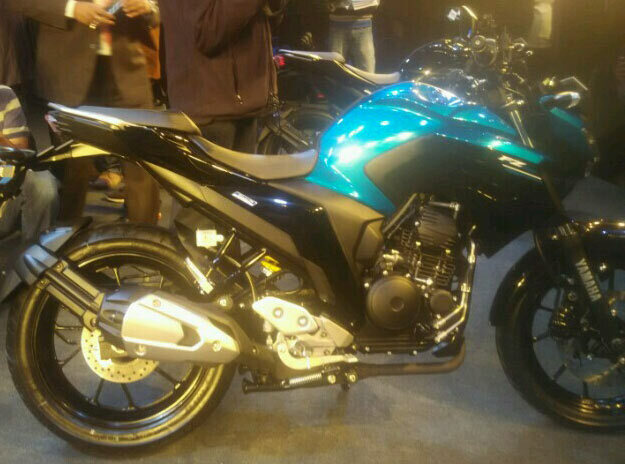 FZ25 is a refined mix of raw power along with superb control and balance. The bike has been personalized for street smart, new age macho riders with aspiration to move towards a more powerful bike. For a powerful bike like this, it is important to have balance and control. Following the FZ legacy, the bike also inherits high level of riding performance and styling DNA worthy of its series. While the bike has been engineered for new age biking enthusiasts, its superior design and comfort makes it perfect for daily use as well. 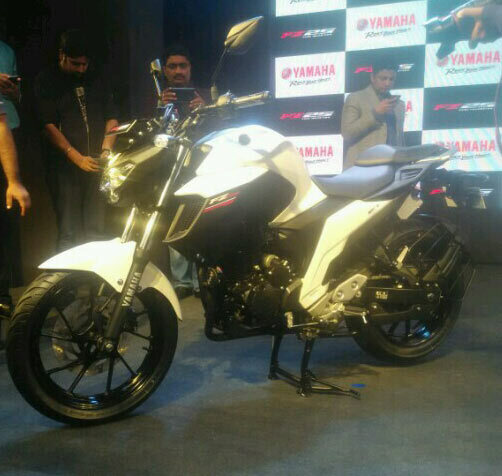 The ex-showroom price of all new Yamaha FZ25 is INR 1,19,500 in Delhi and is priced at INR 1,19,553 in Mumbai. With the new launch, the company is confident that it will be able to make new inroads in the customer base especially those who wants to step up from the deluxe segment to premium. The company is very bullish on the new launch and is very confident that it will keep up with the strong growth numbers the company has witnessed in the last few years.